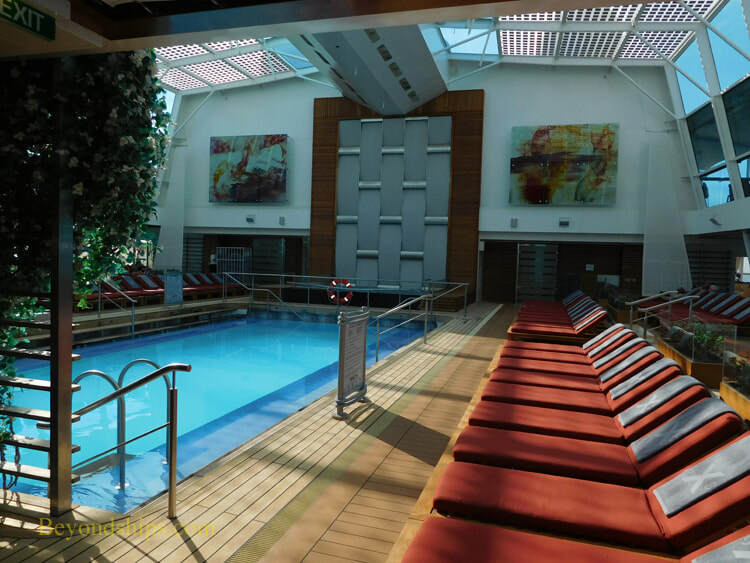 The Solarium is an adults-only area. 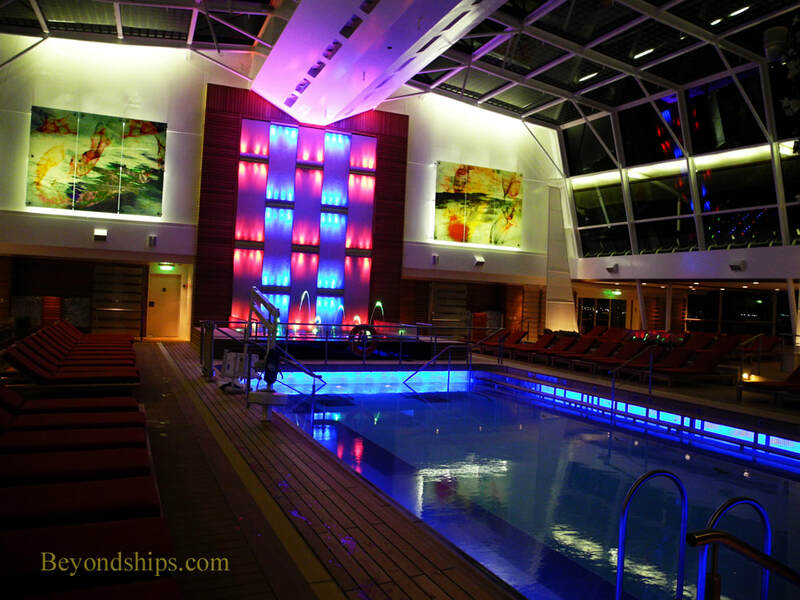 The tone is one of quiet sophistication with large works of art and a fountain dominating one wall of this multi-deck high space. 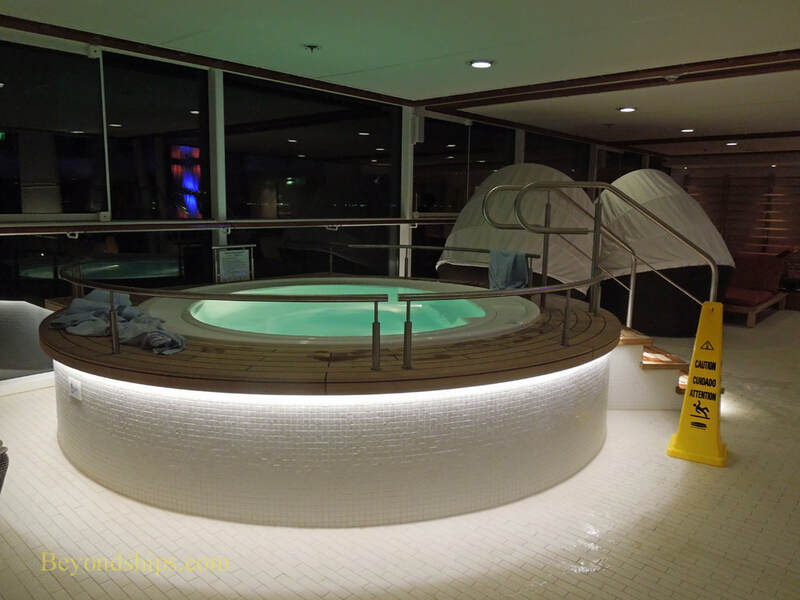 It has a large pool and two hot tubs. 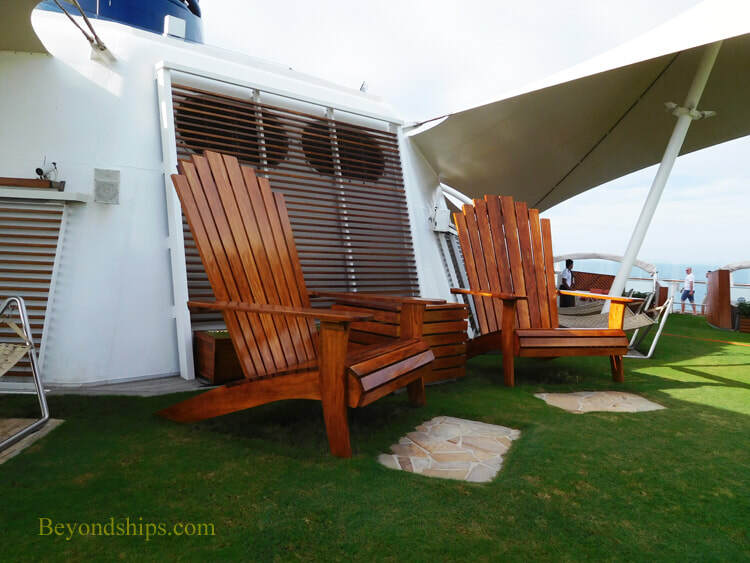 The deck furniture is premium including loungers with thick padded cushions and hammocks. 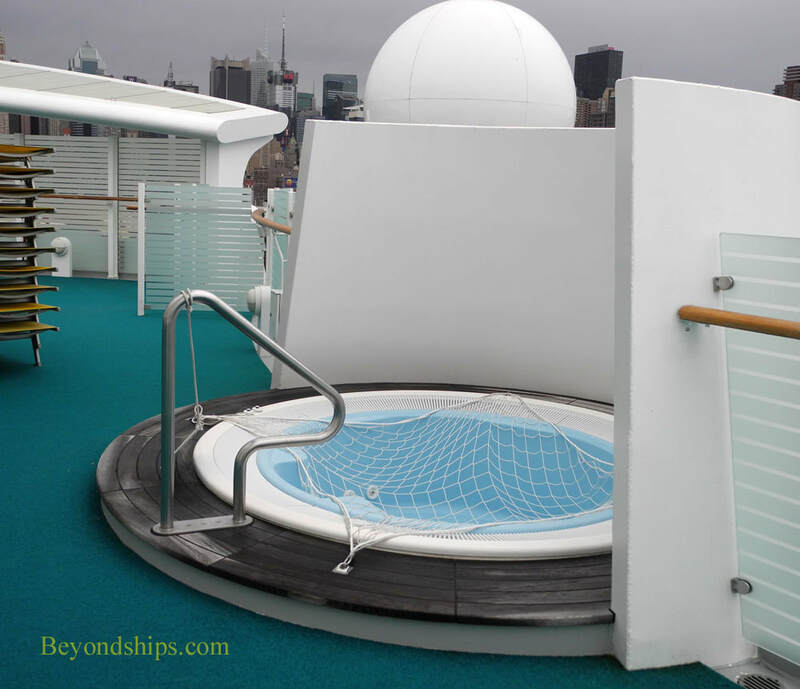 On top of the glass roof are solar panels, which provide auxiliary power to the ship. 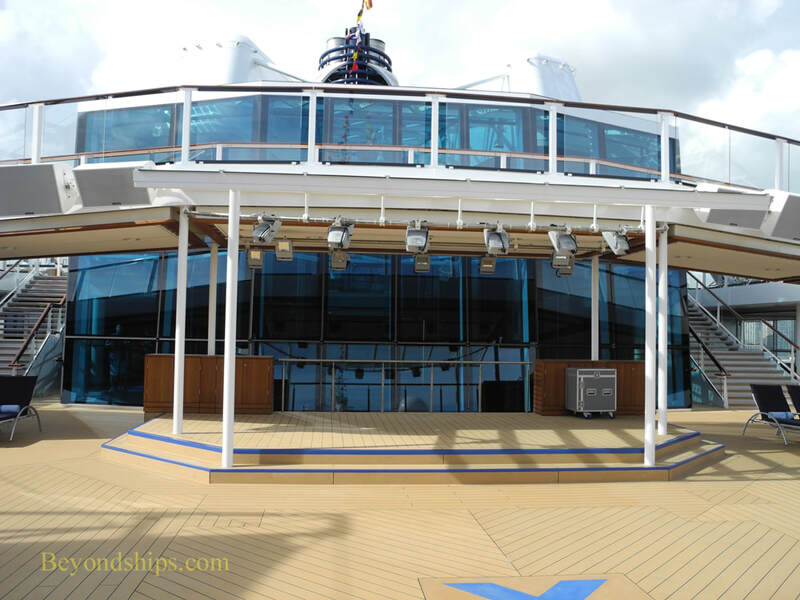 Also within this area is the Aquaspa Café, the ship's healthy-living casual dining venue. 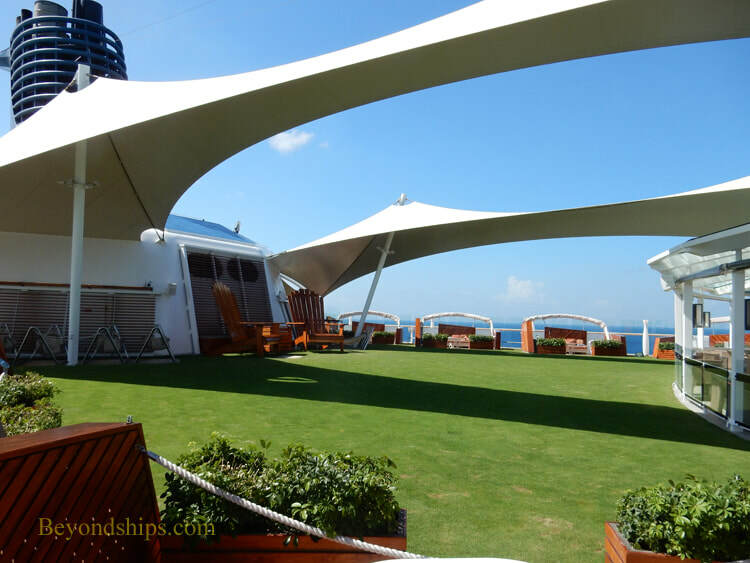 Club are two restaurants - - The Lawn Club Grill and The Porch. 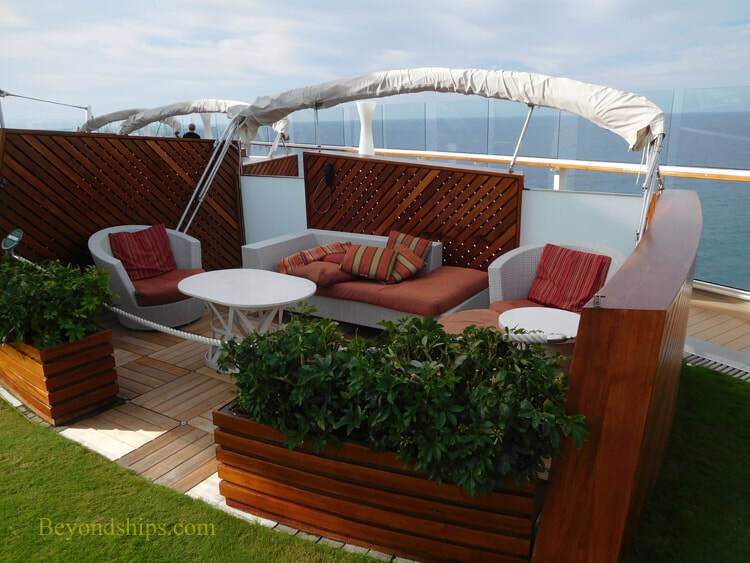 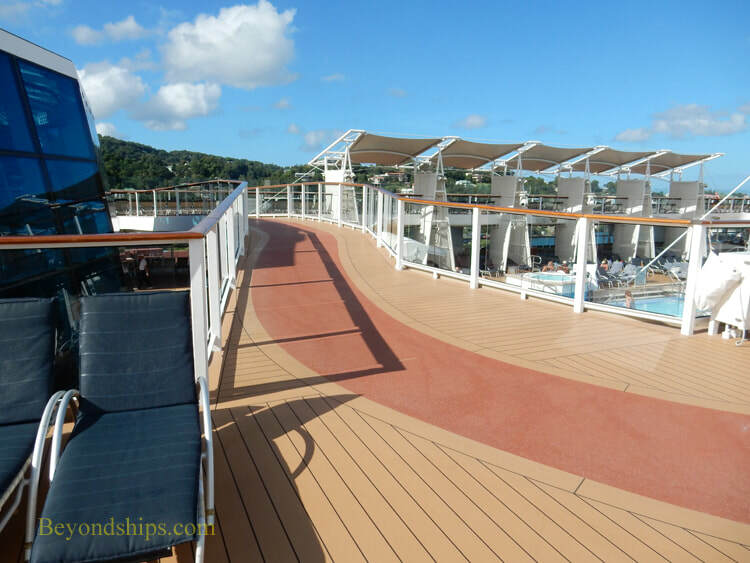 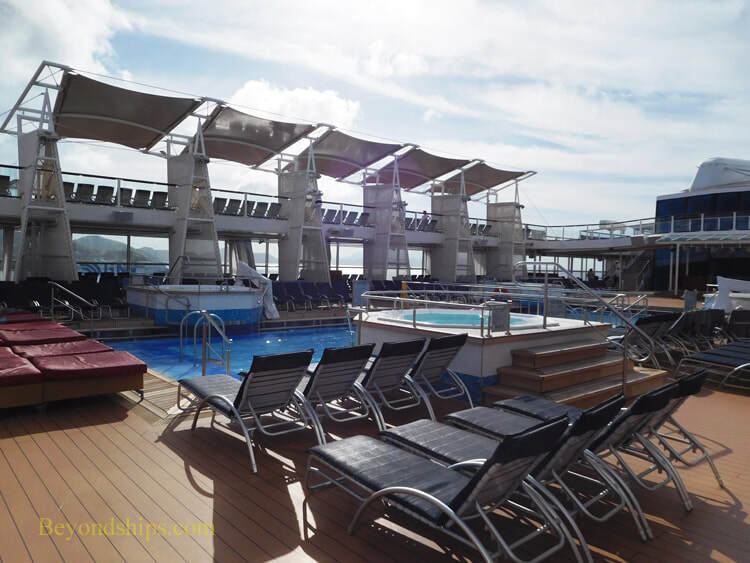 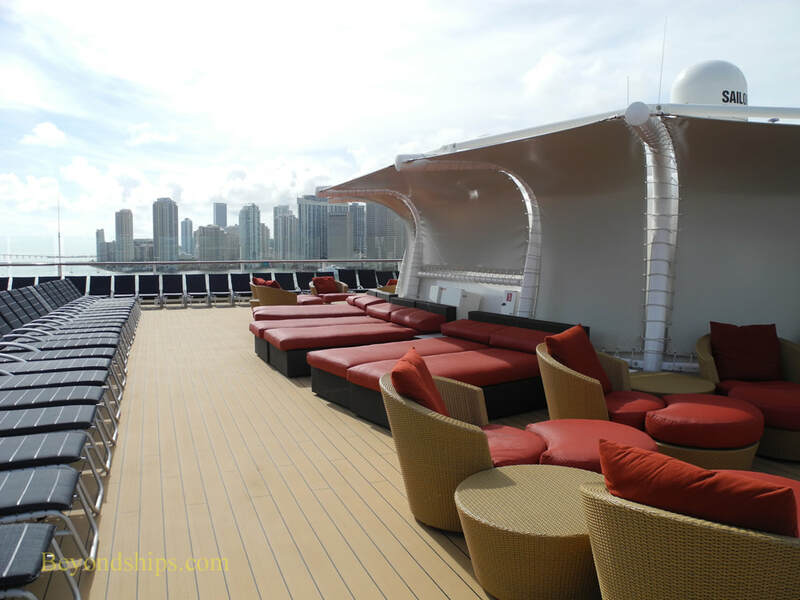 Guests can find premium seating for relaxing in the sun on Solstice Deck (left). 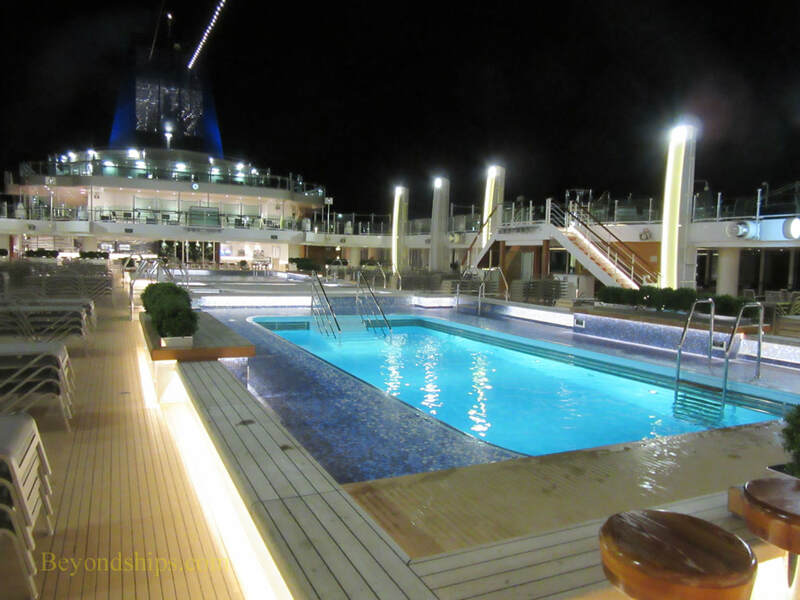 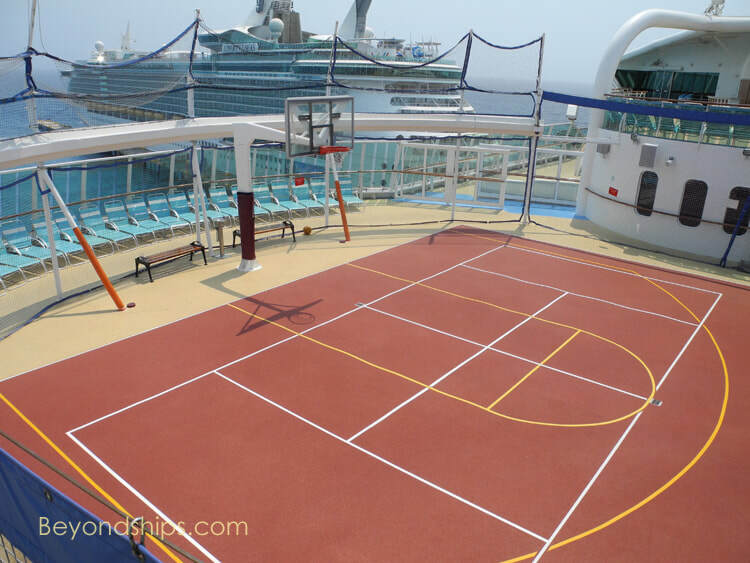 For exercise,there is the Sport Court on the forward part of Deck 15 where guests can play basketball (above). 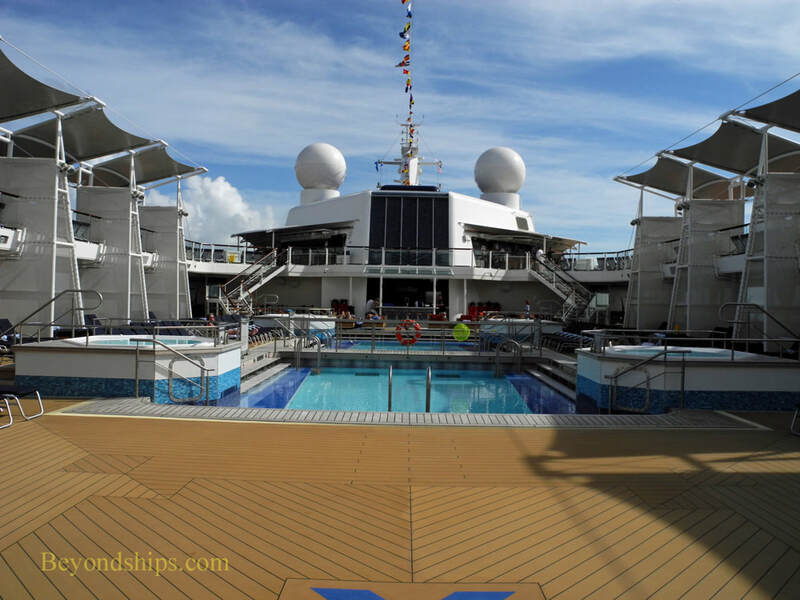 There is also a jogging track (eight laps make a mile) on Deck 14 (above right).